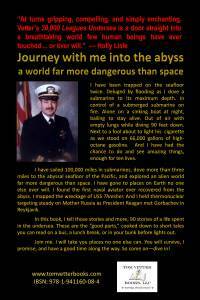 Ninety True Tales of Deep Ocean Adventure. Ninety sea stories, the ‘good parts’, from a lifetime spent sailing 100,000 miles on and undersea. About what? Life. Death. Imminent danger. Unexpected reprieve. Victory. Defeat. Success. Failure. Thermo-nuclear war. True love. Loss. High drama. Low comedy. 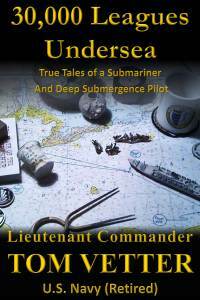 Submarines and submersibles. Carriers, battleships and canoes. whales, living and dead. USS THRESHER and RMS TITANIC; Ronald Reagan, Mikhail Gorbachev, and Bond, James Bond; Fire, flooding and that old sinking feeling. Undersea pyramids and seafloor gas geysers. High jinx, pranks and sudden terror. Shipwrecks, air crashes and people lost at sea. New species, marine wonders and alien worlds. 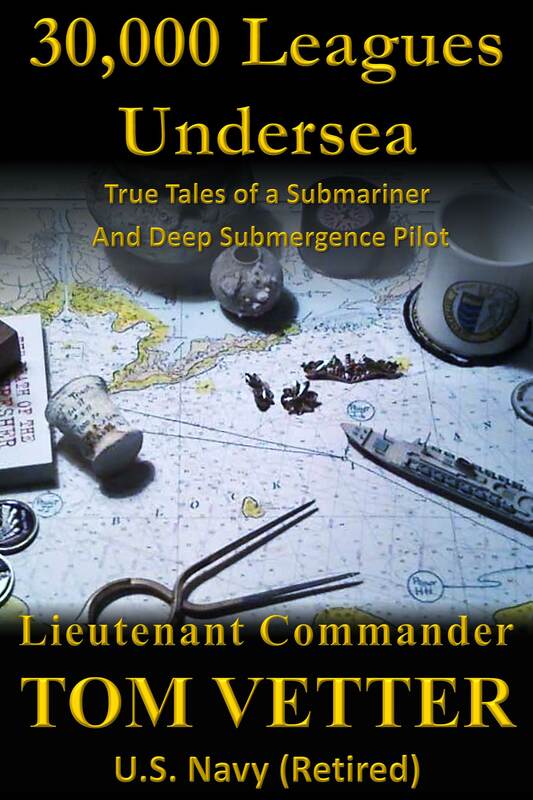 All on or undersea. They’re all here. Ninety amazing and entirely true tales of swash-buckling adventure on the sea and beneath it, as a boy grows to manhood in steadfast pursuit of his lifelong dream, gets a million-to-one shot to become a Hydronaut, and lives a life of high adventure undersea exploring the abyss, a world far more dangerous than space.